Stipules absent, leaves with 3 leaflets. 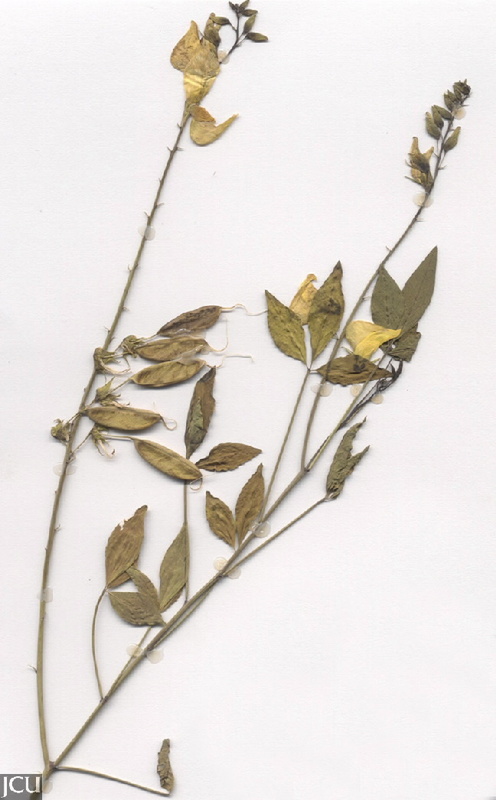 Flowers in a loose raceme, standard petal yellow to pale yellow, sometimes with red-brown markings. Pod pendulous, mottled light brown 4.5-15 cm long.